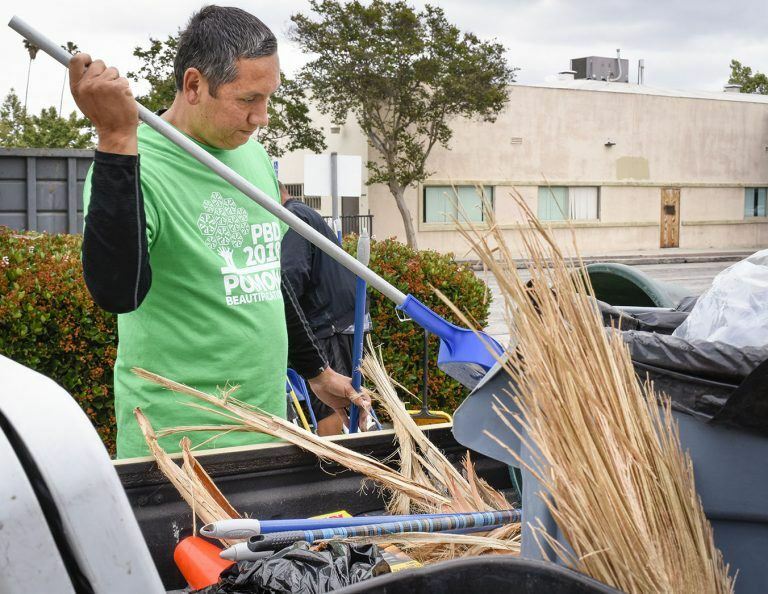 Pomona Mayor Tim Sandoval packs up cleaning supplies in a trash-filled truck at the 12th annual Pomona Beautification Day Saturday. Hundreds of residents and volunteers from the community worked together at 33 project sites from 8 a.m. to noon. Volunteers picked up trash, planted trees, helped start community gardens and created what is soon to be Pomona’s first wilderness trail.